Thanks Vitagan for this new thread. Mangalagarama arambippom. Few months back I treated Baba, the film, with a phisolophical/psychological angle, aligning it with Maslow's theory of needs. 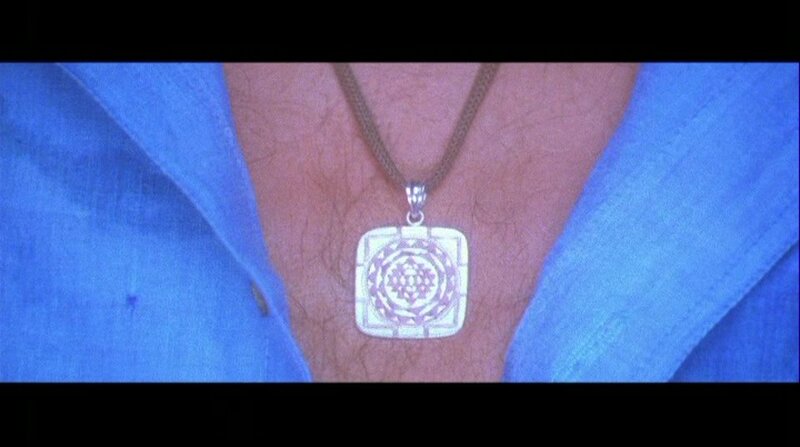 This time I would like to, or more precisely, try to take a spiritual look at the film. And as usual, its all according to what I understood and the research that I carried out under this understanding. There is only one form, and there is never a second one existing. Every other thing is seen as a manifestation of something else. What we see, feel, touch are those which are only relatively real. Ekam eva adhvitheyam is what Baba Film is all about. The human form (Yogi) of absolute reality, has to survive the materialistic objects of the world, and fight with his own thoughts to ditinguish between absolute and relative realities. The conclusion he makes from his thought process, diagnosis & analyse allows him to penerate into the whole creational elements and his own answers make him observe the various existence and judge whether they are independant and how long they are going to exisit in the current form and under what circumstances its form changes. The Basic thought that leads to this form of existence is through the principle question - Does IT really exists on its own or its all due to MY thought of it existing ? 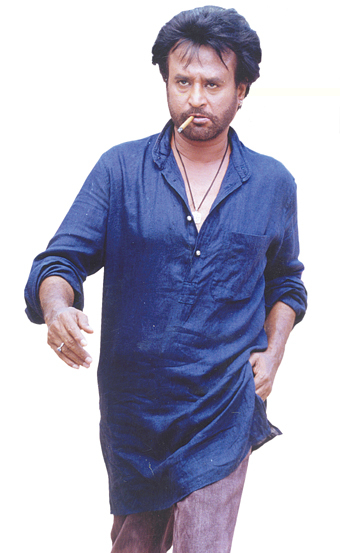 In Baba Film, Rajini seems to be questioning himself quite often. He questions mirages. He questions miracles. He questions releationship. He questions existance of the real form. He questions God. In return, he is allowed to explore it 7 times. Starting which, the whole kite episode is in the search of the secondry form. From there everything is about secondry form that he creates. Thus, they never existed before. Once he realises that, he is called back. But he stays for what he created even if his own creator wanted its creation to report back. And the beauty of this concept is that the Yogi is the secondary form of the primary one, the Creator. Human race or for that Living things are numerous, but what is common in them is the soul. The soul & body is entirely a different subject, but what these above lines depict is that there can be many different forms but the Atma is one and only, meaning one God dwells in all beings. Many sages gave several explanations with exemples, one fine exemple is : Gold forms the basis for any jewellery, since it has assumed the form of a chain, it is called a gold chain. The whole concept of Bimbam (object) and Prathibimbam (image) is based on this universalised soul or the Supreme self. The Upanishads carry these message : God is the indweller of all beings and Man enters into creation along with the 'jivatma' in order to manifest material names and forms. In Baba, the film, you see similar circumstances that drives the character Baba to meet all his Prathibimbam and what made him to dwell in the Bimbam form. Paramahansa Yogananda connection with Baba is simple. The whole Kite episode is the begining pages from an Autobiography of a Yogi. 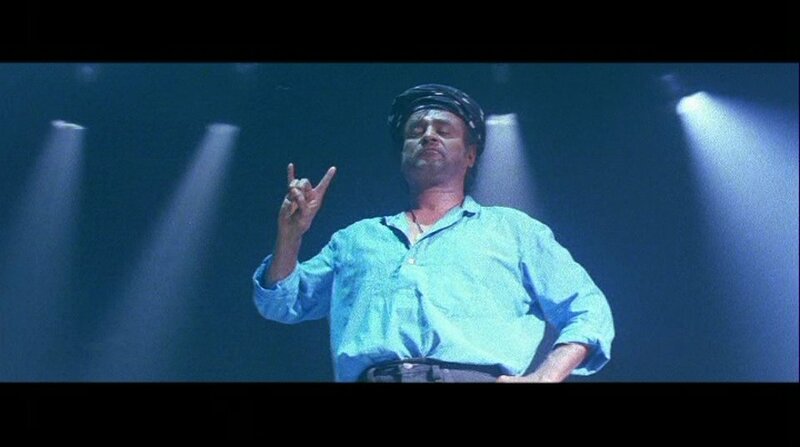 The film then follows several of his manifestations during certain instances where Baba, played by Rajini, enters into questioning reality. Here it addresses about the consciousness, the self realisation through which the union or reunion is possible. As a Man, his duty is to understand the nature and see things more than what they seem to look like. Thus the union that he is been seeking will be attained, for exemple, even through the rock. His whole aim is not to see through things, but understand it with an inner vision which permits the reunion to happen. The word 'Ananda' is usually coined as Happiness. But this is context it get its actually meaning - boundless. (Thus sorrow becomes limitness and happiness becomes limitlessness - slowly Ananda is defined as Happiness). And Purnam means complete. Purnam is always acheived thru Ananda. Everything around you is boundless, and you are complete when you realise it through consciousness. 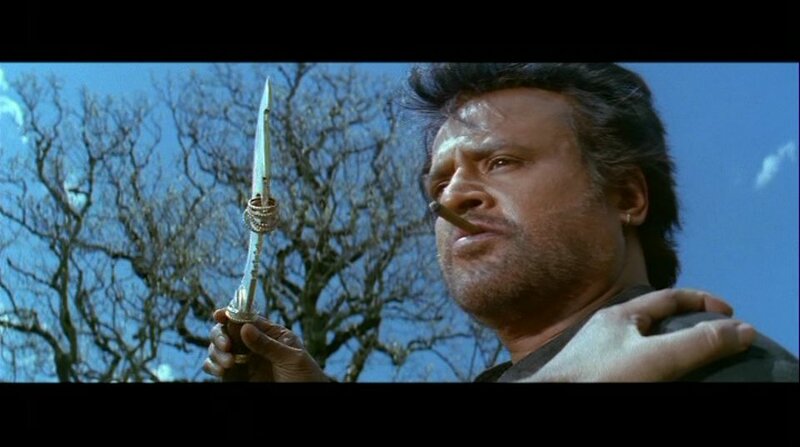 Thats what Rajini is shown by Baba, and thats what Rajini is put in to find by himself, and thats what Rajini realises. Last edited by mappi; 23rd February 2015 at 06:29 PM. Question : Define Pullarips ? The above lines describes the awesome Thandavam of Shiva. The mere movements that sends the thrills and an event to cherish for his devotees. His loose flying hair is like a Forest from which the River Ganges flow making the earth a holy ground, the holy ground of Shiva performing his Thandavam. The sankes hang around his neck like the flower garlands and his Udukai continuously beating - Damad, Damad, Damad, Damad - filling the whole air with vibrant sound. Shiva, my lord, you perform a beautiful Thandavam, please do a similar performence within us also. This stanza describes the wave like hair flow which are identique to the ripples over river Ganges. His forehead shines brilliantly and on its surface is a blazing fire (Third Eye) which sparkles [or burns vigoriously (tamil equivalent - thaga thaga)] - Dhagad, Dhagad, Dhagad - and the cresent moon is shining on his Kondai which looks like a mountain peak. O Lord Shiva, your Thandavam is the most delightful moment that I have ever experienced. Last edited by mappi; 23rd February 2015 at 10:55 PM. Thanks Mappi for reviewing old memories. Watching Rajathi Raja to compensate.